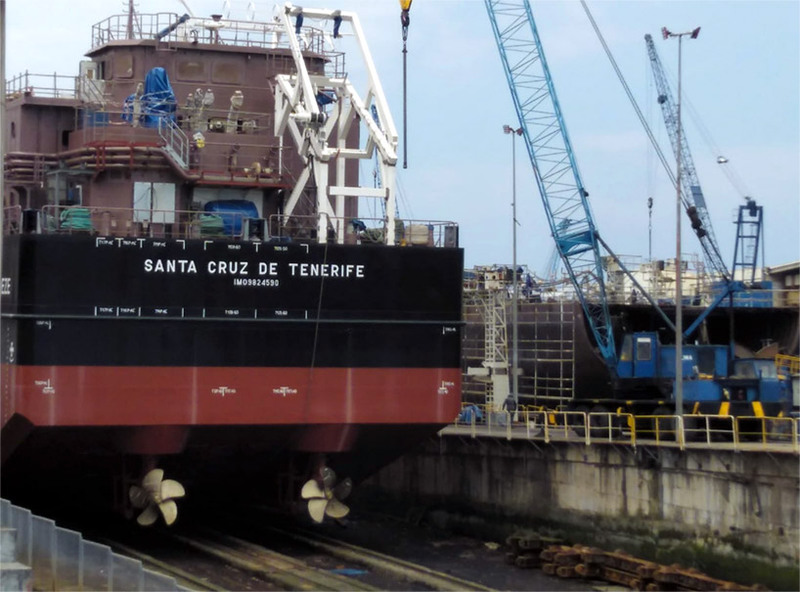 Astilleros Zamakona will celebrate today the launching of its construction 787, the new fuel supply ship “BUNKER BREEZE” for the company Suardiaz Energy Shipping (Suardiaz Group), the third construction by Zamakona for this same ship owner. This supply vessel can cover the entire spectrum of marine fuels from traditional fuels (fuel oil, gas oil) to the most innovative (LNG). The project is part of the framework of the European Commission in the field of environmental protection, where the main objective is to develop an LNG logistic chain that will allow to promote the use of gas as a fuel for transport, especially shipping. It is led by Puertos del Estado (Spanish Port Authority) and coordinated by Enagás, the project has 42 partners from Spain and Portugal, including Suardiaz and Cepsa. This vessel will start its activity in the port of Barcelona as of the last quarter of 2018. The “Bunker Breeze” is 86 meters lenght by 17 meters beam and weighs 5,250 tons. 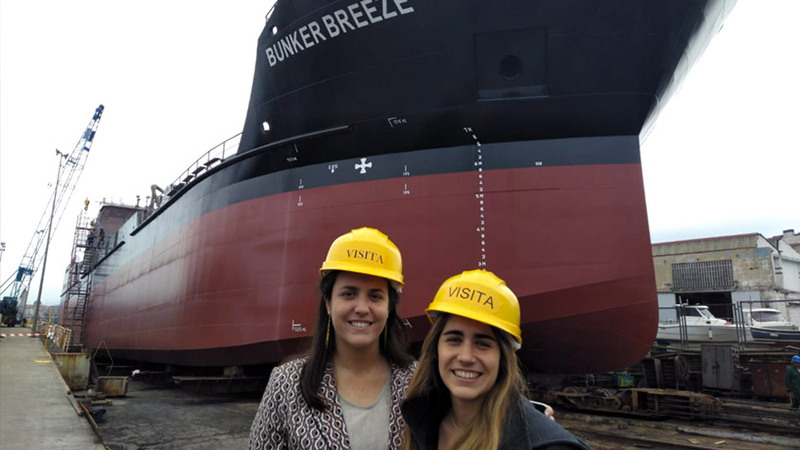 The vessel has the capacity to house 10 HFO and MDO cargo tanks and four for LNG tanks. 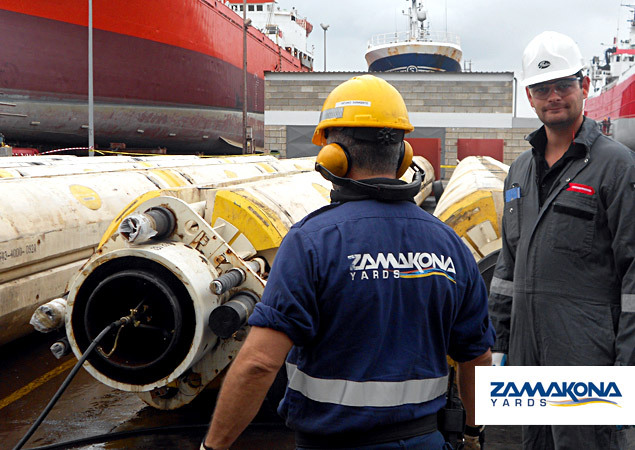 The Zamakona Yards Group has several facilities in Santurtzi (Vizcaya), Pasajes (Guipúzcoa) and Las Palmas de Gran Canaria (Canary Islands), with more than 41 years of experience in the construction and naval repair of all types of vessels. On February 6th, the President of the Government of the Canary Islands Fernando Clavijo and the Minister of Economy, Industry, Trade and Knowledge, Pedro Ortega, held a working meeting with the Norwegian ambassador to Spain, Helge Skaara, to analyse the commercial, economic and social ties between the Canary archipelago and the Nordic country. It should be noted that Norway and the Canary Islands maintain a historical relationship in different areas, where the tourism was the forerunner of this relationship. Today, the Norwegian tourist sector in the Canary Islands registers about 400,000 tourists a year (10% of the country’s population), which is reinforced by the existence of direct flights between the two destinations. Also, the Canary Islands has a Norwegian community resident in the islands of about 3,000 Norwegian citizens who mainly live in the south of Gran Canaria. The commercial and economic relations between the Canary Islands and Norway are being fruitful, as Norwegian companies consider the Canary Islands as a business platform for West Africa for specific sectors and, on the other hand, an enormous potential in sectors such as tourism, energy Renewable and blue economy. Currently there are 16 Norwegian companies from different sectors and many of them operate under the Special Zone of the Canary Islands regime (ZEC) that offers important tax advantages for these companies. 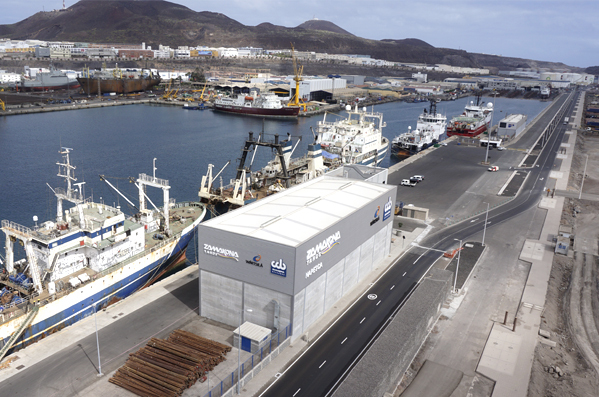 In the specific case of Norwegian companies operating in the offshore and oil and gas sectors, both the public administrations of the Canary Islands and the private sector for naval repair and auxiliary services for the extractive industry have joined forces to make the islands, and in particular, the Port of Las Palmas, stand as a strategic hub. This, together with the geographical proximity with the Gulf of Guinea, has aroused the interest of the Norwegian private sector specialized in the provision of technical assistance to this industry. This interest has materialized in the implementation of some Norwegian companies that seek alliances with the Canary Islands private sector to generate integration in the local business sector, synergies and mutual benefit. The alliance between Zamakona Yards and the prestigious Norwegian company Coast Center Base (CCB) is a clear example of these alliances. The resulting company CCB ZAMAKONA OFFSHORE SL will invest jointly 20 million euros for the development of a repair centre for oil platforms with a total area that occupies 6,000 square meters in the Port of Las Palmas where the first phase is already executed with the construction of the building that houses the main workshop, offices and storage areas. 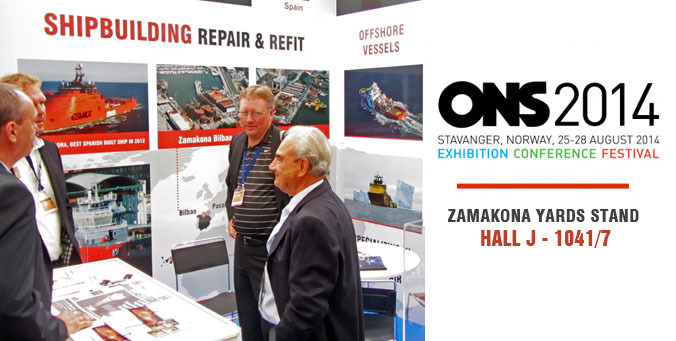 This week we have the honor to participate at the ONS 2014 Stavanger Exhibition, where many people have come to visit us and potential projects have been discussed. If you have planned to visit the exhibition, come visit us at the Zamakona Yards Stand – HALL J – 1041/7 (below you will find a map with our exact location). 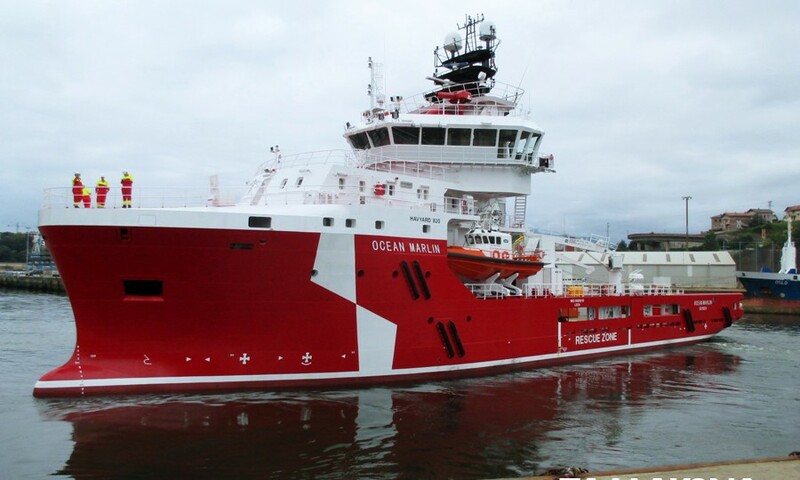 Ocean Marlin is the second vessel of three signed with Atlantic Offshore with HY820 design. She is now sailing to Stavanger and her naming ceremony will be next Wednesday, 13th August. Zamakona Yards together with Gates Europe is working on 22 marine risers belonging to Maersk Drilling in our facilities in Gran Canaria. The job involves cleaning and inspection in order for Maersk to receive the certification and comply with their life cycle management. It will take some 3 weeks to finish the job. They are of the Aker Solutions brand and weigh about 40 tons each. These jobs will occur frequently since marine risers have cyclical maintenance scheme. Aker Solutions provides oilfield products, systems and services for customers in the oil and gas industry world-wide. The company’s knowledge and technologies span from reservoir to production and through the life of a field. From the drilling rig to the power plant, Gates provides products and services the energy industry needs to keep equipment running productively, efficiently and safely. We’ll continue reporting about services to the oil & gas industry.